Seven years. That’s how much jail time you can get just for smoking marijuana in Hong Kong. But that doesn’t mean you can’t invest in it. That’s the message from executives at some of the world’s hottest cannabis firms, who are gathering tomorrow at the city’s five-star W Hotel for a forum on investment opportunities in markets where it is legal. To be safe, organizer Arcview Group says it sent a letter to local authorities, assuring them that the conference is “purely informational.” Under Hong Kong’s Dangerous Drugs Ordinance, trafficking cannabis carries a maximum sentence of life in prison. 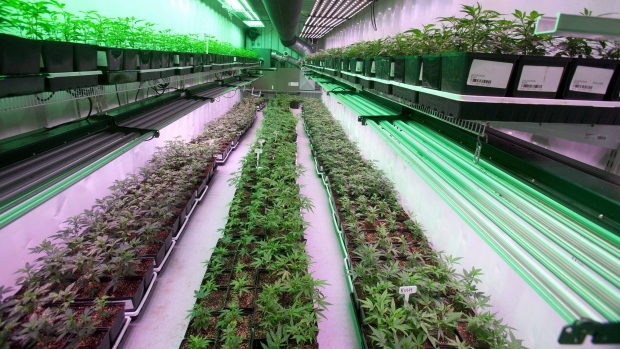 Arcview estimates cannabis will grow into a $57 billion industry within the next ten years, up from about $13 billion now. While most of the spending will occur in North America and Europe, Asia’s contribution is expected to rise with Thailand and Malaysia considering the legalization of medical marijuana. 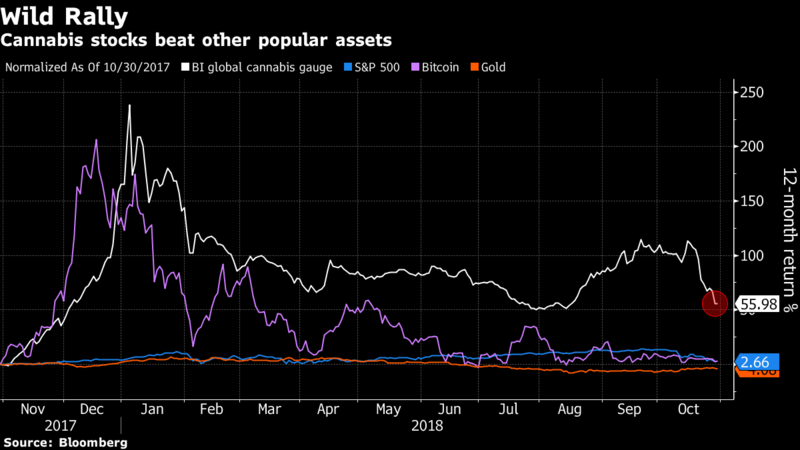 A Bloomberg Intelligence index of pot stocks has returned 56 percent in the last 12 months, outpacing Bitcoin, gold and any major equity index, even after slumping 50 percent from a January high. The Hong Kong Cannabis Investor Symposium is expected to draw some 200 attendees. Many of the executives scheduled to speak are -- not surprisingly -- from Canada, which this month became the first major economy to legalize recreational pot use. Afzal Hasan, president of Origin House, formerly known as CannaRoyalty Corp., said he’s joining the forum to promote his firm and find out "where the wind is blowing" in Asia. "I’m primarily there to communicate our story to a broader audience," he said.